Seminole charter school: The Academy of Seminole is housed in this library on the Seminole State College campus. For now, it serves 29 students, but its founder hopes to add pre-K through fifth grade and additional high school grades. 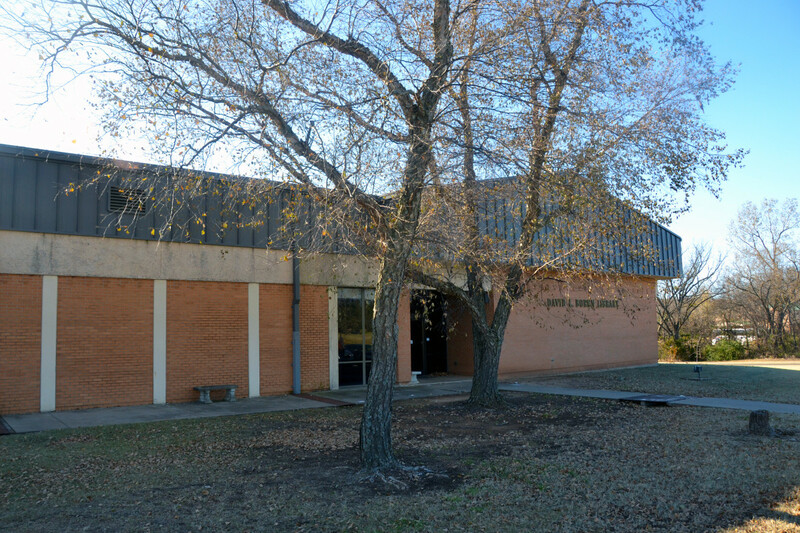 Within the walls of the Academy of Seminole, in Seminole, Oklahoma, eight rented rooms in a community college library, it can be hard to see why the little school has kicked up so much dust in this former oil boomtown, population 7,300. 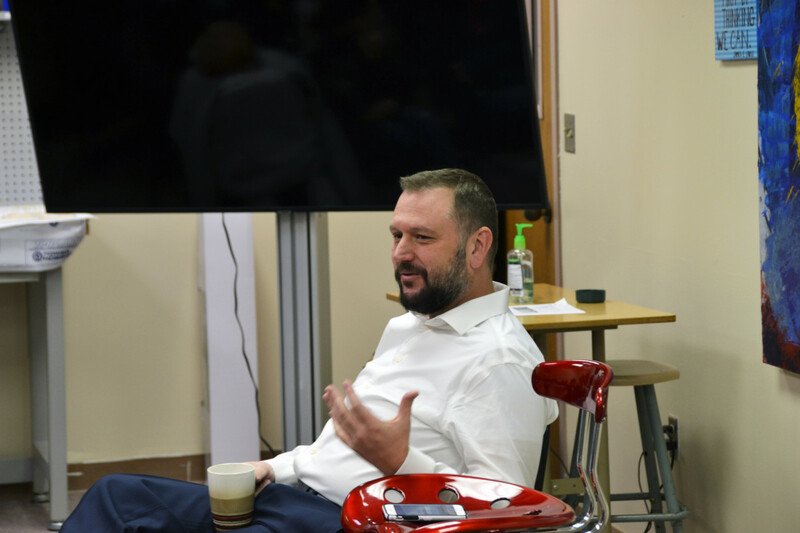 On a recent Friday, businessman and school founder Paul Campbell addressed the students, just 29 freshmen and sophomores, to tell them what it&apos;s like to run a business. What he dislikes? Making small talk at political events and "firing people." What he enjoys? "I love doing something that no one thinks can be done. That&apos;s why we&apos;re sitting in this school." Campbell says the "thesis" of the school is that "on day one of your ninth grade, literally hour one ... we start talking about what you want to do with your life." Speakers have included a health care chief executive, professional dancers, and a speech pathologist. Academy students mapped out various careers they might pursue, and spent their first semester doing a research project on their chosen path. That focus on jobs is a direction in which more schools are headed, amid rising concern that young people are graduating unprepared for the workforce, especially in rural towns like this one. Last year, Oklahoma joined a growing list of states requiring students to develop a career plan in order to graduate. And, in a sense, Campbell&apos;s can-do, pro-business attitude fits in with the ethos of this working class, President Donald Trump-supporting town. But while Campbell may dislike politicking, he&apos;s had to do a lot of it to get his school off the ground and keep it going in the face of a chorus of concern from local residents. That&apos;s because the Academy of Seminole is a rural charter school; its establishment is part of a small movement to bring this taxpayer-funded version of school choice to more remote corners of the country. Paul Campbell is an outsider who moved to the state in 2015 to lead an aerospace manufacturing company in town, and then had trouble finding qualified workers. He blamed his difficulties, in part, on the school system, and believed he could offer students something better. When he proposed the idea for his school, divisions quickly formed between some community leaders, who felt a charter could attract employers and skilled workers to the struggling city, and those who worried it would peel away students and state dollars from what many see as Seminole&apos;s severely underfunded schools and prioritize business needs over those of the city&apos;s poorest children. Supporters, many of them from the town&apos;s business community, praised both the idea of giving residents a new educational option and the school&apos;s stated focus on workforce preparation. That focus was part of the worry for locals, concerned the school might be used to provide labor for Campbell&apos;s company, Enviro Systems, and that it could inappropriately blur the lines between schools and the workplace. Opponents also felt that Campbell, who had no background in education, had put together a proposal pockmarked with problems, one that didn&apos;t offer students any opportunities they couldn&apos;t already get from existing programs. Church services grew tense. Friendships soured. Campbell says he received a death threat in the form of a note left on his truck. Seminole school board members twice rejected his application before the voucher- and charter-friendly state education board overrode their decision and approved it. This fall, a year behind schedule, the Academy of Seminole opened. Now, Campbell&apos;s success at making an end run around local leaders could test the popularity of charters in Oklahoma, and the role of the state in overruling community decisions. More broadly, it&apos;s a test case for whether these privately operated, publicly funded schools can open in small communities without eroding public education. While charter schools have taken root in many cities since the first charter legislation passed in Minnesota in 1991, in rural areas they are still "unicorns," as Michael Petrilli, president of the right-leaning Thomas B. Fordham Institute, puts it. Only about 2 percent of rural public school kids attend charters, according to an analysis of 2014–15 federal data, compared with 10 percent in urban areas. Of the 6,747 charter schools nationwide that academic year, roughly 11 percent were rural. Businessman Paul Campbell speaks before students at the Academy of Seminole, a charter school he founded in rural Oklahoma. Campbell says the "thesis" of the school is that "on day one of your ninth grade, literally hour one ... we start talking about what you want to do with your life." Rural parts of the country don&apos;t have the economies of scale to support big charter operators, like KIPP or YES Prep. Nor do they tend to have the political alliances that have helped bring charters to cities like New York, where centrist Democrats have often lined up alongside market-minded Republicans to back charters. And some states have limited charters to big cities. That was the case in Oklahoma until 2015, when the legislature passed a law to spread charters beyond Tulsa and Oklahoma City and give the state board of education the right to overturn local school board decisions denying charters. Some of the existing rural charters have been started by communities that lost their schools to consolidation. Some are set up to fill a specific niche, such as agriculture studies. Rural charters like Campbell&apos;s, started in part to compete with traditional public schools appear to be less common, and they are certainly more controversial. "More power to him," says Petrilli of Campbell and his vision of helping lift local school performance with market-style inducements. "Here is a person who is trying to bring up the quality of education in the community. He&apos;s an employer; this is where a lot of the energy for education reform has come from, the employers who find they are just not getting the workers they need or they don&apos;t have the schools to recruit people into the community." But others say residents are right to worry about the sprouting of charters in their hometowns. Schools often play an integral role in the life of a small community, offering a central meeting place, social services, and additional support. If a charter grew popular enough to draw hundreds of kids and capture those students&apos; share of funding allocated by the state, it could erode not just schools but the fabric of communities. Bryan Mann, an assistant professor at the University of Alabama&apos;s college of education, has studied charter schools in Pennsylvania and notes that, while the research on rural charters is still new, these schools could pose a threat to public education. "Choice is great, but if having choice is undermining the dominant choice that the majority of families rely on and have relied on for decades or longer, then what good ultimately is that doing?" he says. Even some who are generally sympathetic to charters say the schools may have limited applications in rural areas. 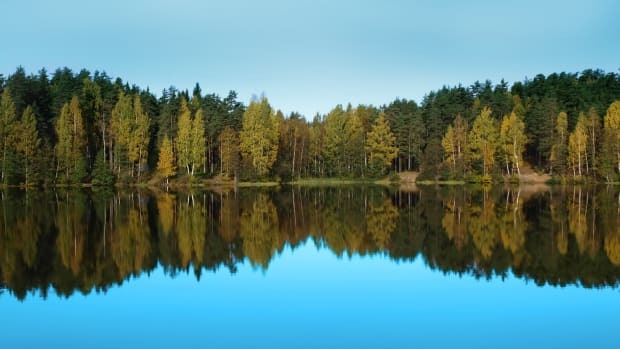 Juliet Squire, a senior associate partner with Bellwether Education Partners, who produced a report on the role charters could play in rural America, says they are no "silver bullet" for the problems ailing rural schools, such as low rates of college attendance. But she says charters might offer a tool in certain circumstances, such as when a particular student body isn&apos;t being served well, a rural community is large enough to sustain many schools, or when a charter replaces a school being shuttered. In the eyes of the Oklahoma charter&apos;s critics, none of these conditions exist in Seminole, but Campbell sees it differently. He began to think that if he were to meet his business goals for Enviro Systems—doubling its size and turning it from one of the "best kept secrets in Oklahoma" into a company with a global profile—something would have to be done about the Seminole schools. Campbell says he met with a few school board members about ways his company could help improve the district&apos;s scores and give kids career guidance, but he was largely rebuffed. (School board members dispute this characterization.) Determined, Campbell began to refine plans for starting his own school, and in August of 2016, he submitted an application asking the Seminole School District to approve what would have been one of Oklahoma&apos;s first rural charter schools. Working in his favor was the timing. Campbell, who was raised in rural western Kentucky, had arrived in Oklahoma just as Seminole Public Schools was hurtling toward a tempest. Some business and city leaders, including the city manager, Steve Saxon, had lined up in support of a bond issue to construct a new high school building by a major road on the east side of town, with an eye toward attracting businesses to the area. (Saxon declined an interview for this article, writing in an email that the charter school "provokes about as many opinions around here as Donald Trump.") Not long after the bond issue failed, an engineer&apos;s report identified structural problems with the green-trimmed, Art Deco building that had housed the district&apos;s high school since the 1930s, and students were sent to school in a former grocery store down the road as the district explored other options. 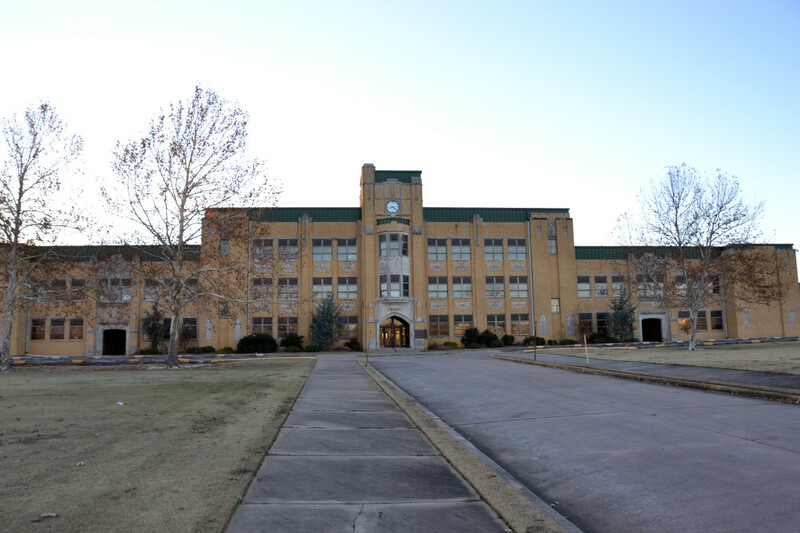 Opened in the 1930s, this building served as the high school for the Oklahoma town of Seminole until 2015, when an engineer&apos;s report determined that it was structurally unsound. Divisions over where to open a new high school helped generate momentum for the opening of a charter school, according to Seminole residents. Meanwhile, some of the supporters of the first bond issue decided to get behind the charter school, eventually writing letters to the state board arguing that the school could help "drive economic development" and "revitalize 21st-century manufacturing in rural America." Members of the school board were unimpressed. Jack Cadenhead, a lawyer and former school board chair, says he didn&apos;t see any evidence that a school would prompt new businesses to set up shop in Seminole. "I just think that&apos;s a farce," he says while sitting in his office on brick-lined North Main Street, which is home to a library, a former train depot turned Mexican restaurant, and a bunch of burned-out storefronts. "Is there any research proving this theory?" Cadenhead also worried that Campbell lacked knowledge of education and that his attacks on the school system were ill-founded. As Superintendent Alfred Gaches notes, the district&apos;s relatively low average ACT score—which Campbell touted as demonstrating the need for a charter school—could be explained by the fact that, at the time, Seminole was one of just a few places in the state requiring all its juniors to take the test, not just those who were college bound. Cadenhead adds that the charter didn&apos;t seem to offer any technical opportunities that kids couldn&apos;t get through the area&apos;s existing vocational education system, and students already had a form of school choice through the state&apos;s open-transfer policy. Seated in her office across the street from Cadenhead&apos;s, lawyer and former school board member Amie Rose Colclazier says she worried the charter school would be a private school "in sheep&apos;s clothing," benefiting only students of families with the means to sort out the school&apos;s application process and ferry their kids to and from school. Charters in Oklahoma, like other public schools, are not required to provide transportation, but the Seminole district buses its students. Superintendent Alfred Gaches stands with Seminole High School students outside a school gymnasium. Gaches recommended that the Oklahoma state board of education reject an application for a rural charter in Seminole, but the board disagreed. After several hearings at which board members said that school representatives failed to provide direct answers to their questions, the board twice voted unanimously to deny the application. Among other reasons, they said the Academy of Seminole had not demonstrated "community support," as required under the state charter law, because it had only gathered 124 signatures on written and online petitions from school district residents, a tiny slice of the population. Charter supporters said those numbers weren&apos;t fair because the school is open to kids from districts beyond Seminole and its current class has enrolled students from nine districts. The next month, the state board overrode the school board&apos;s decision, as it has done in two other cases involving charters. The state superintendent of education, who in an interview following the vote cited Seminole&apos;s failure to fund the building of a new high school, declined to speak for this story. The state board&apos;s actions, meanwhile, are starting to generate pushback: This year, a Republican state legislator introduced a bill to rescind the board&apos;s authority to approve charters over local objections. Once Academy of Seminole opened, the school&apos;s enrollment ended up below projections—its application stated the school anticipated serving 60 students in the first year and up to 700 by year five, but ended up with just 32 enrolled. Three left within the first weeks of the semester because, according to Hawthorne, they felt the school wasn&apos;t the best fit. About 45 percent of the remaining students in the academy&apos;s inaugural class qualify for free or reduced-price lunch, a measure of poverty, which is a significant share of the study body, but still far lower than the 73 percent in the Seminole district. Still, much of what inspired the charter&apos;s supporters, and troubled its opponents, hasn&apos;t yet come to pass. The small size is good financial news for the Seminole district, which stands to lose between $3,500 to $9,000 in state funding for every student who departs for the charter, according to Gaches. To critics, of course, the small enrollment is evidence that there was never much demand for a charter school in the first place. For his part, Campbell is pointedly unsympathetic to worries over the charter school&apos;s financial impact on the district: "Adapt," he says. Hawthorne says he thinks some families didn&apos;t want to take a chance on a new school and enrollment will rise over time. For now, students and teachers appreciate the small size. On a fall morning, English teacher Sheri Bray guided her 16 freshmen through an exercise envisioning wedding vows for Romeo and Juliet. Bray joined the school after two years teaching special education in Oklahoma City, where she says her classes were impossibly large. Her regular classes at the tiny Academy of Seminole, she says, feel more like what special education was meant to be—individualized—and she has plenty of opportunity to experiment and innovate. 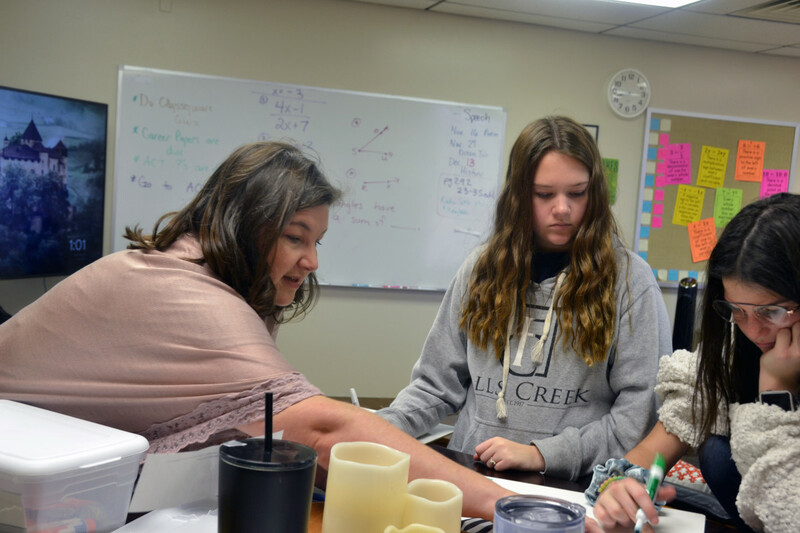 The same morning, teacher Charity Hobbs leaned over a desk to coach her sophomores through math problems in preparation for the ACT. As ACT scores are one of the reasons the school came to being, preparing students for the college-readiness test is a major focus, and all sophomores will take it, their test fees paid through private fundraising. Down the hall, Hobbs&apos; husband, Michael Hobbs, who teaches history and supervises some extracurricular activities, was working with students on model airplanes for an aerospace design competition. Math teacher Charity Hobbs helps her students prepare for the ACT test. Hobbs taught in a small school in Shawnee, Oklahoma, before joining the Academy of Seminole charter school when it opened this fall. 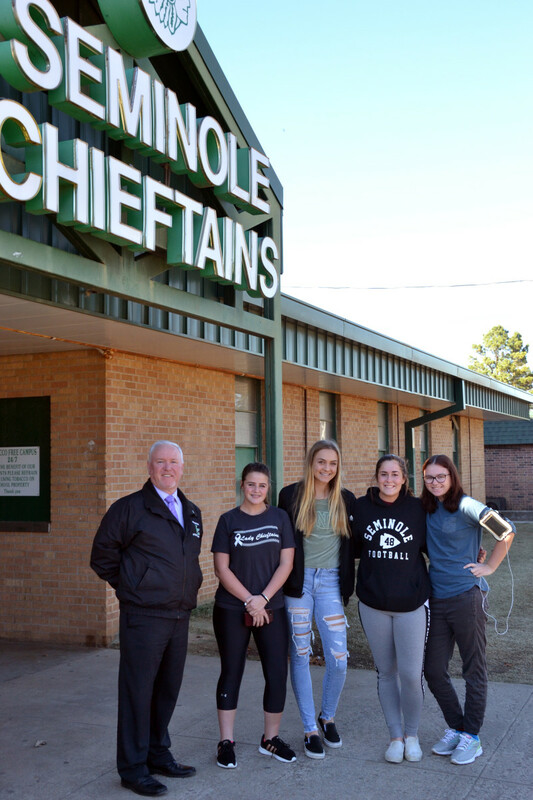 Students, most of whom come from the smaller districts that surround Seminole, talked about choosing the school for the chance to take dual credit classes at the community college, Seminole State, or because they wanted a change from home schooling. "What really got me interested was the associate degree they were offering," says Brendan Connolly, a dark-haired freshman who chose the academy over his public high school in nearby Shawnee, where he says classes were bigger and teachers didn&apos;t seem to care as much. Campbell says that he wants virtually all of the charter&apos;s students to earn enough credits to get an associate degree or vocational certificate while in high school, saving them money down the road. Gaches questioned whether this goal is achievable, and pointed out that students at Seminole High School can also take dual-enrollment classes. The school has meanwhile started a new business-mentoring program to give more kids real-life career exposure. In an olive branch of sorts, Gaches says this program was spurred in part by Campbell and his ideas on career preparation. The academy has had to make a number of changes since Campbell first pitched his idea. Not only has the school&apos;s approach to career preparation been refined, but Campbell decided to forego the services of the charter operator, whose use was core to his application, instead relying on Hawthorne, the head of school, in part to save costs. While the charter received $600,000 in federal start-up money and $325,000 from the Walton Family Foundation, the school&apos;s viability will depend on additional fundraising. Outside the charter&apos;s walls, some of the controversy appears to have faded. At the McDonald&apos;s on a recent morning, Steven McAusland was getting breakfast with his fourth-grade son. McAusland, who works for an electro-coating company, says he didn&apos;t follow the charter debate and his son is happy at the Seminole public school he attends. Just down the road at the Carl&apos;s Jr. burger joint, gray-haired, bespectacled men cluster seven tables wide, nursing cups of coffee and reading copies of the Seminole Producer, the city&apos;s paper since 1927. Some say they were for the charter, others against—but their divisions weren&apos;t deep enough to ruin breakfast. Campbell is confident that, eventually, the controversy will disappear for good. "I keep having this vision, and I see it happening already, that five years from now this community is going to be really proud of this school and all the people who were against it will now be supporters of it and a lot of them will probably take credit for it," he says. Sooner than that, his school will be neighbors with Seminole High: Last fall, the town approved a bond issue to erect a new high school building, to be located just down the road from the college where the charter school is housed. Despite the community&apos;s concerns, Campbell is pressing forward on plans for expansion, with hopes of adding pre-K to fifth grade next fall, along with additional high school grades. He has also formed a non-profit, Advance Rural Education, to raise money for rural schools of all sorts and help establish more charters in other rural towns like Seminole: "I would like to have these schools all over rural America." This story about rural charter schools was produced by the Hechinger Report, a non-profit, independent news organization focused on inequality and innovation in education. *Update—December 17th, 2018: A previous version of this article referred to Paul Campbell and his wife settling in Norman, Oklahoma. They are now divorced, and settled in a suburb outside Oklahoma City, Oklahoma. Caroline Preston is a senior editor at the Hechinger Report.